Mr. Naresh Singal is a renowned person in the field of Vaastu/ Feng Shui / Pyramidology and based in Delhi. He is also the founder of Institute of Vedic Vaastu Vision and the recipient of “Vaastu Shree”, “Vaastu Visharad” and a Gold Medalist. He is a celebrity in his field. He has organized workshops on Vaastu, Feng-Shui & Pyramidology in Haryana, U.P., Rajasthan, Delhi etc. and other foreign countries like Ajman, Sharjah, Malaysia, Italy, Australia, Hong-Kong, etc. His articles, newsletters and write-ups have been published in leading newspapers and magazines for e.g Hindustan Times, Vaish Panorama, Prabhat Khabar etc.. He has also done shows in popular channels i.e. Zee Jagran, Zee Business, Shraddha, News street, Jain TV etc. FM in UAE. He has also organized number of free workshops on Vaastu, Feng-Shui & Pyramidology in various clubs including Rotary Club / Lions Club / Bharat Vikas Parishad etc.. He is a columnist in Hindustan Times since 1999 (Hindi & English). His articles on various subjects based on Vaastu are being published in magazines like Estate World / Property Panorama / Estate World / Property & Wealth etc. Noted politicians, Corporates and General public are some of his clients ever since he began practicing ancient Chinese system of aesthetics, Feng Shui, Indian geomancy science, Vaastu shastra and Pyramidology. Some of his clients are Usha Martin (Mr. Jhawar), Dilbag Gutka, Delhi-Assam Roadways (Gorakhpuria), Matterlite India Pvt. Ltd., P.K. Transformers, Subhash Dalmi Triveni Group (Real Estates), SAIL, Baroda Airport, Golcha Group and many more. Politicians and celebrities are also his clients. World famous Vaastu/ Feng Shui / Pyramidology expert – Naresh Sngal is on Dwarka Parichay panel. 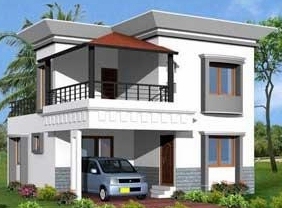 You can ask expert advice for solution regarding property, relation & life.